Having trouble locating the Jennersville Eye Doctor? Our Jennersville eye doctor is looking forward to helping you see your best. Though Jennersville, PA is actual associated with West Grove, our optometrist at Oxford Family Eyecare provides eyecare services for its residence. The distance between Oxford and Jennersville is actually very small. With two direct routes, Kennett Oxford Bypass and W Baltimore Pike, getting to and from our Eye Care Center is easy. With many available services, our eye doctors’ can help your entire family see clearly. Call our office to ask about some of our specialty treatments such as: othok lenses and dry eye treatment. Are you away from home and having eye problems? Our eye doctor will be happy to help. 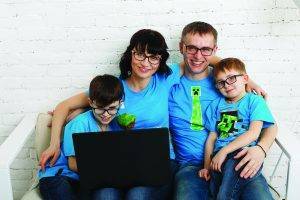 Click here to find out about vision insurance plans accepted at Oxford Family Eyecare. If you don’t see your plan on the list, call our office. We provide university students with eye exams, prescription eyeglasses, contact lens refills, dry eye treatment and much more. Located near Lincoln University, our eye care center is convenient and friendly. Click on the map for detailed directions from Jennersville to Oxford Family Eyecare. We are only a short drive away!